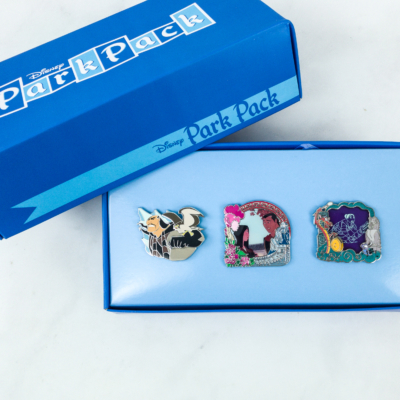 These are the Park Pack pins for March 2016. 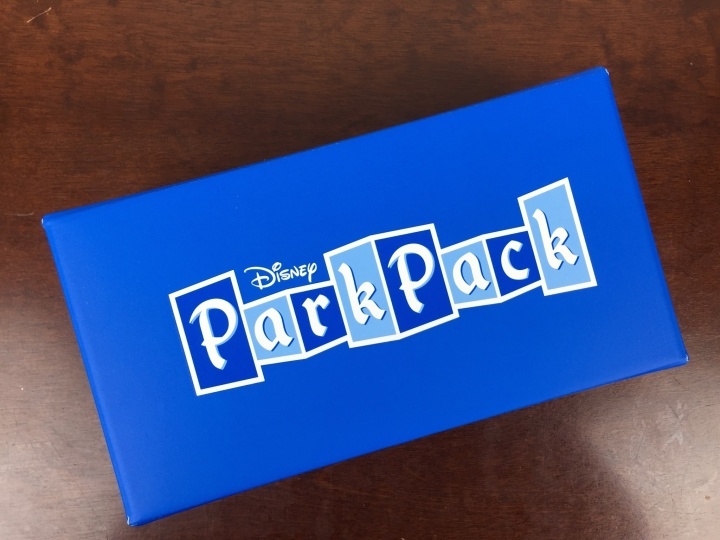 With a silver and green pin in addition to the LE pin, this box is a bit lower value! 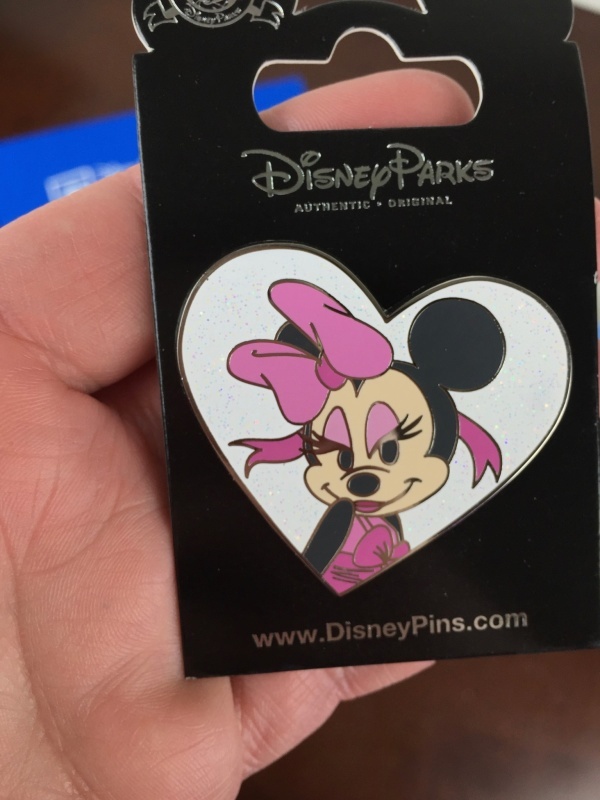 Minnie Mouse Glitter Heart Pin: She’s batting her lashes! The background is full of iridescent glitter and super pretty. My daughter will snap this one right up! 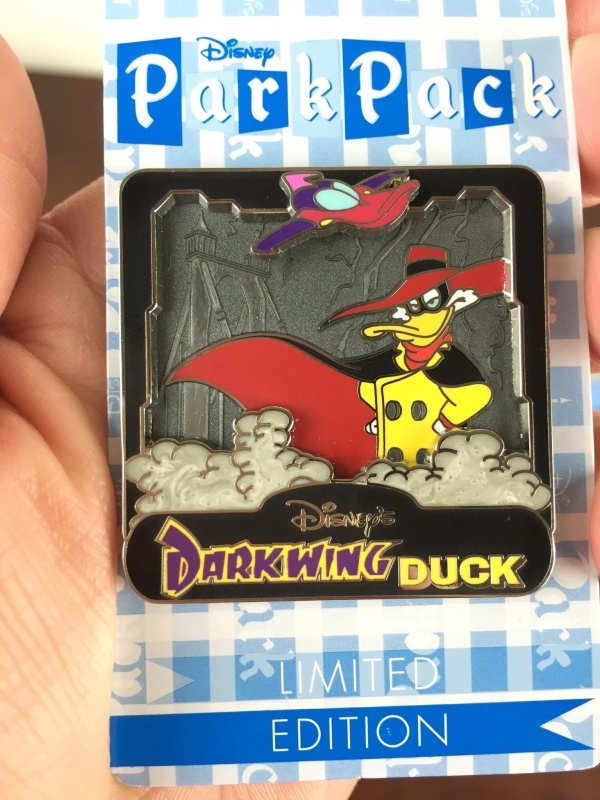 Darkwing Duck Limited Edition Pin: Here’s a pin I didn’t expect to see! This LE pin is one of the “fading in” background style pins (my least favorite, because when you get the empty background as I usually do, it’s just not that interesting). 1 – this is a mistake and it’s really an edition of 750. 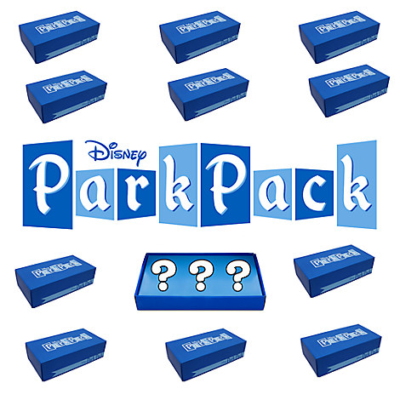 2 – It’s an edition of 500 and there are now 6 different varieties of the same pin. 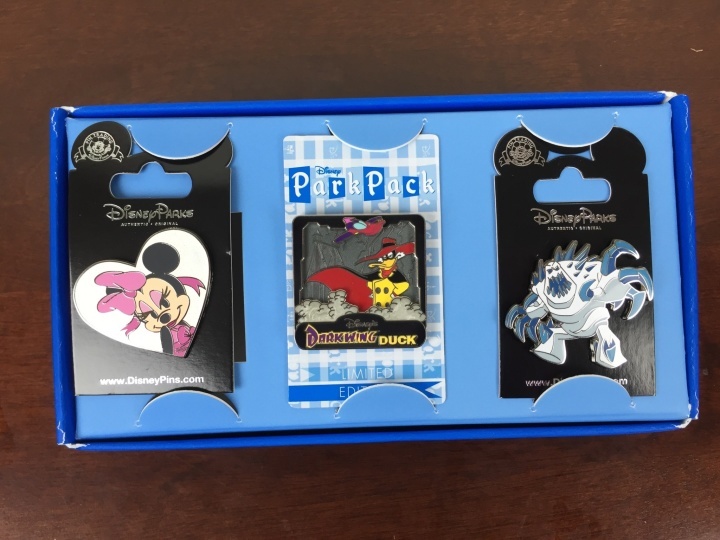 3 – It’s an edition of 500 and there is more than one pin (perhaps 3 versions of 2 different pins). 4 – it’s an edition of 500 and there are now only 2000 total pins because they reduced the subscription numbers. Would love your info on this in the comments. Marshmallow! – This was a really fun pick – it’s Elsa’s bodyguard from FROZEN. Post movie he’s much friendlier and I like that he has a character progression. 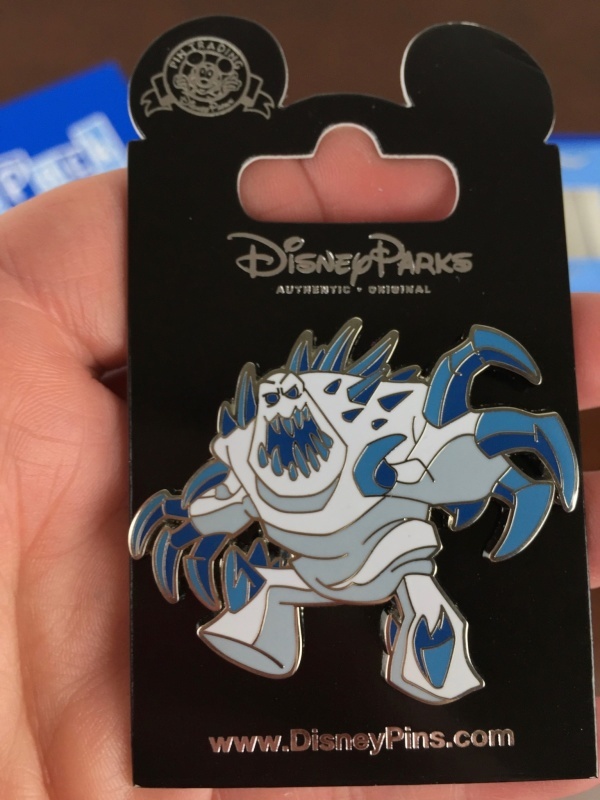 This will go perfectly with our Frozen gear! 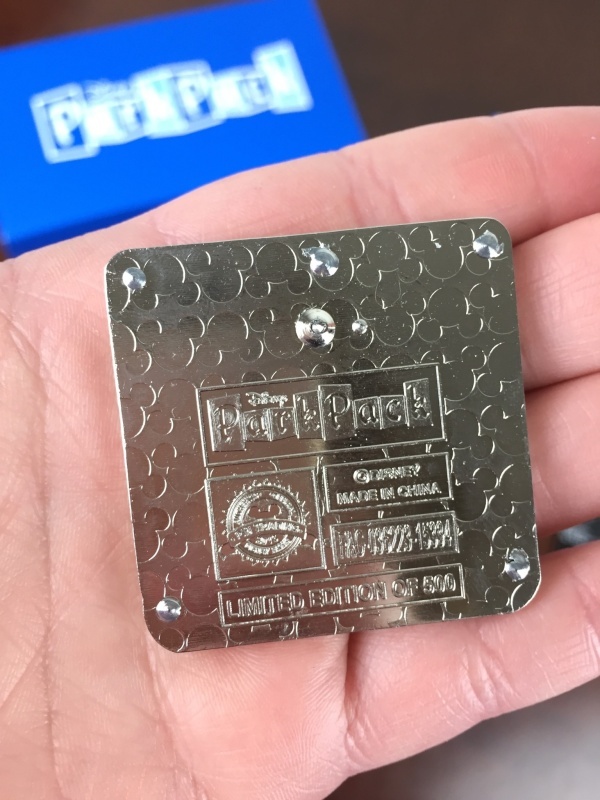 I do have to admit that this wasn’t my favorite box from this subscription – I was getting used to having a pin match something I’d already received, but maybe we’ll receive something matching next month. 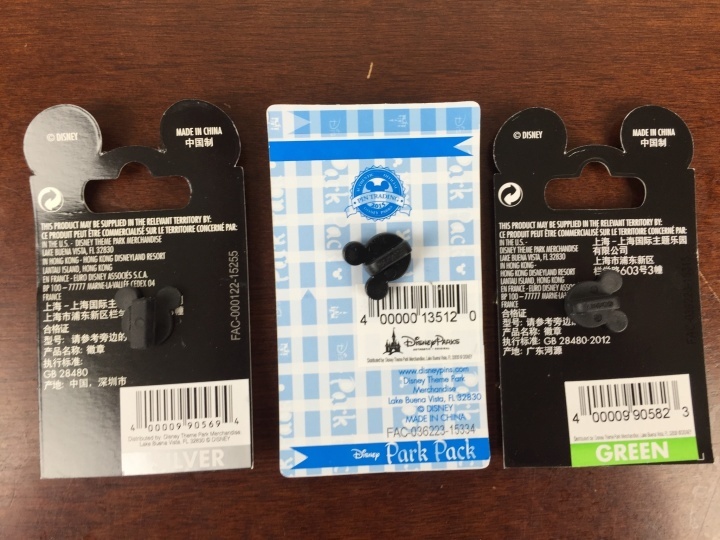 I also noticed that we’d received a couple Dumbo pins – then Dumbo showed up in my Tsum Tsum subscription. That was really fun and I hope they do that again! Which pin was your fave this month? OK so I agree not the most exciting box. 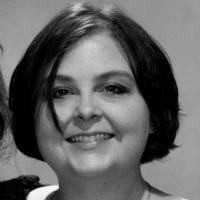 I do like Darkwing and Marshmallow but they are a little lackluster. Minnie being all flirty and in a heart almost seems like it would have been better in a Valentine’s box and this month we should have had flowers or april showers or something like that.